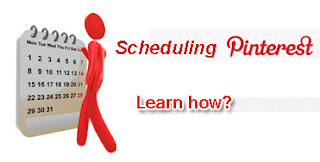 How To Schedule Pins on Pinterest? Pinterest is a pretty interesting visual social network that poses quite a conundrum. On the one hand, the idea of pinning and sharing images, and interacting with people over these images seems quite appealing. But on the other hand, there aren't very many marketing features employed by Pinterest, which causes some small businesses to ignore this really useful opportunity. With Facebook, you can schedule your posts, analyze your statistics, and generally spice up your posts. Sadly, no such functionality as stock from Pinterest. Luckily though, there is a tool that will help you schedule your Pins, and enhance/analyze them for more effectiveness. Pingraphy is a free tool that is designed to add an extra layer of features to Pinterest. You don't have to create a separate account to be able to use it. You can just log in with your Pinterest credentials. Enter your Pinterest username and password, and then proceed to the next step. Next is Step 2, where you actually get to post or schedule pins. Click no the Schedule button, and you will see some more options. You can select a board to pin to, the picture to pin, and when to pin it. If you click on the schedule button, you will see options to set the time, and the time interval (in case you want to pin multiple images). If you want to pin multiple images at once, you will still have to set an interval. This interval can be as long or as short as you like.